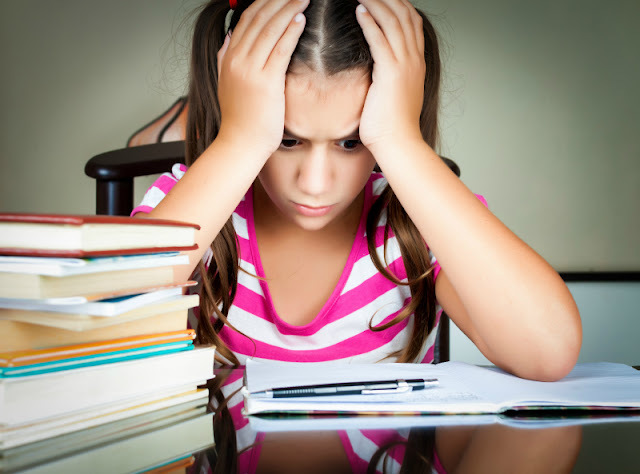 We are big believers in hands-on science and in experiential learning. I feel very lucky to be able to take a full advantage of Every Kid in a Park program and to take our former 4th grader to California National Parks. 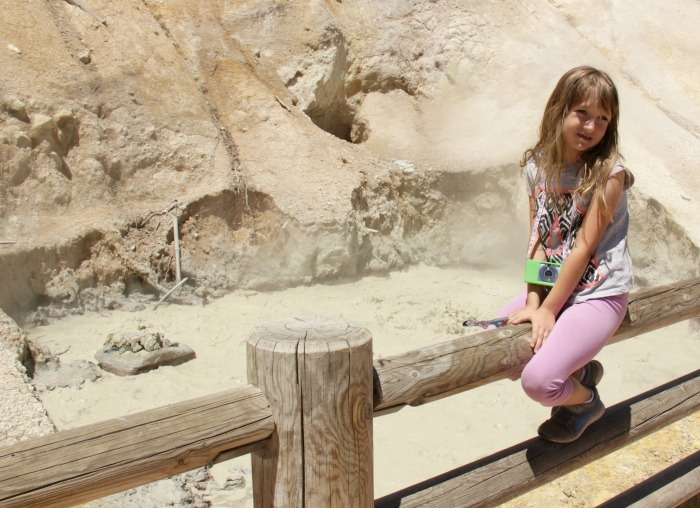 Earlier this year, we visited Death Valley and Yosemite, and now we went on a road trip to Lassen Volcanic Park. 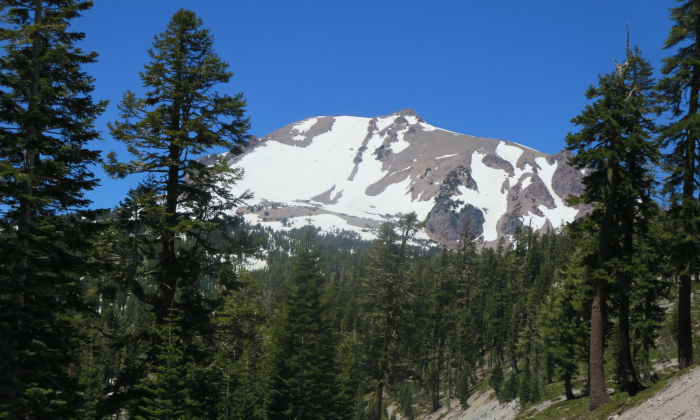 Lassen Volcano is quiet now, but 100 years ago it erupted in clouds of ash and smoke making it famous. as the only 20th century volcano eruption in continental US until Mount. St. Helens' eruption in 1980 eclipsed it with its unforgettable images of chaos and destruction. Lassen area was declared a National Park in 1916, so we were lucky to catch its 100th anniversary when we visited it this summer. Are There Different Types of Volcanoes? Smarty learned quite a bit about volcanoes completing all the requirements to receive a Junior Ranger patch. 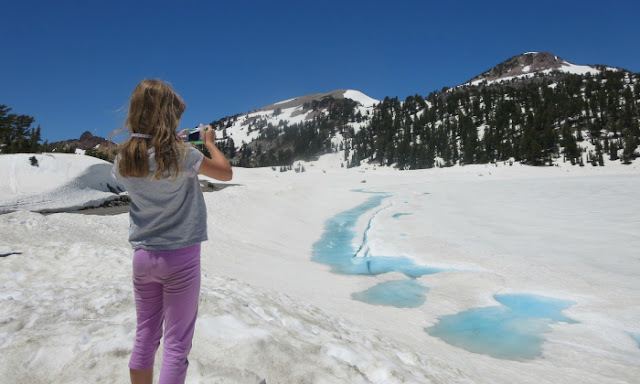 She found out that Lassen Volcanic Park is a rare place that has all types of volcanoes - a cinder cone volcano, a shield volcano, and a composite volcano. It's hard to imagine now, but this area used to be dominated by a gigantic Mt. Tehama that was 11,000 ft and gradually eroded over time. Lassen peak is about 10,500 ft high, and it was amazing to see the weather change as the road climbed higher approaching the trail leading to the Lassen Peak trail. While the bottom of the park has lush meadows and lakes, the upper lakes at 8,500 ft were still frozen, and many trails closed because of snow. Smarty was absolutely delighted to walk on snow and take pictures of California summer in Lassen Park. The outside temperature this high up was balmy 70s, perfectly normal for T-shirts, but the snow is certainly taking its sweet time to melt. 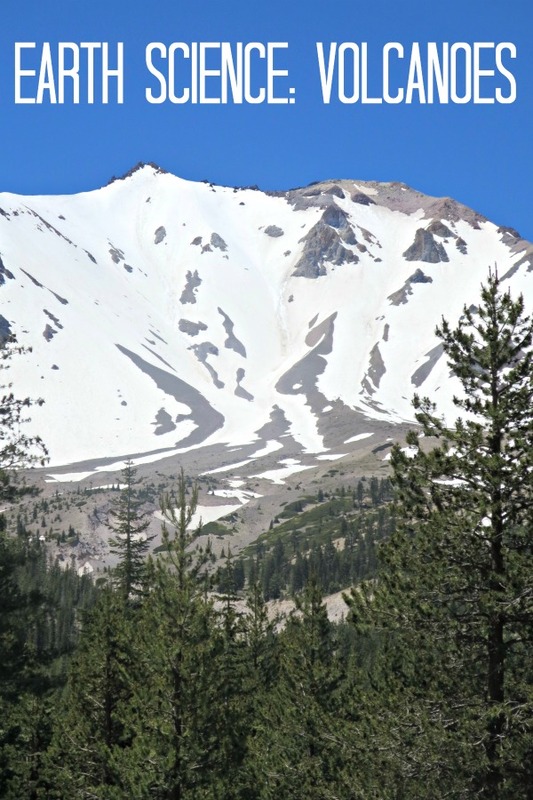 In fact, Lassen Park was pelted by a freak snow storm just last week! While Lassen Peak itself seems very peaceful, there is a lot of activity happening underground as melting water is heated up by a body of magma still alive and kicking about 6 miles down below our feet. 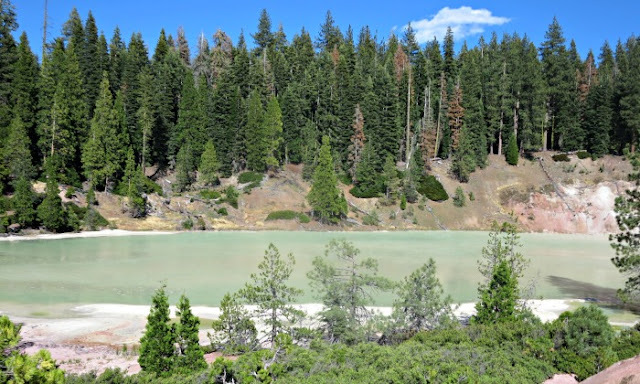 Unfortunately, the most famous hydrothermal area of the park, Bumpass Hell, was still closed due to snow and ice, but Smarty could see a very lively mudspot at Sulfur Works. And, yes, she is making a face, because the air smelled like rotten eggs due to the presence of sulfuric gases in the air. Boiling Springs Lake really boils! Hot springs underground keep water temperature at 125 degrees Celsius. We had to take a long car detour to get to the trail head leading to the lake and then hiked for 2 hours through lush meadows and fir forests, but the effort was well worth it. The lake was not too steamy on the day of our visit, because all the melting water from the mountains makes it cooler during summer, but giant loud mudspots were fascinating to watch. What kind of science field trips have you done lately? K would love Lassen Volcanic Park! We are headed to Yosemite soon. She wanted to visit Yellowstone but that will have to wait. We have been talking about volcanoes, too, because Edinburgh Castle is built on an extinct volcano. How rain happens or doesn't happen is also a big conversation topic in our house lately - due to the contrast in climates between Scotland and California! That's cool it has all the types of volcanoes. The difference in temperature solely due to height always amazes me.